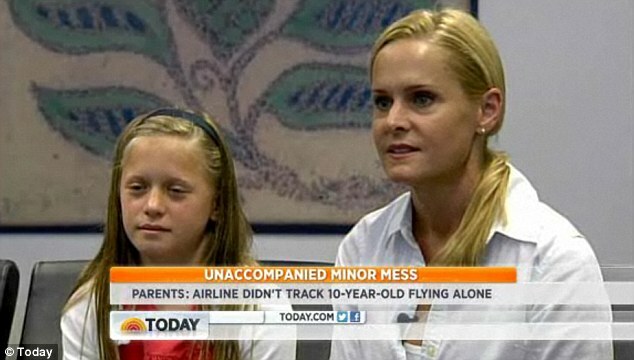 United Airlines has admitted in losing a 10-year-old girl flying alone, according to reports in the news media. Phoebe, the daughter of Annie and Perry Klebah was flying alone from San Francisco to Traverse City, Michigan through Chicago on her way to summer camp. However, according to the couple, United Airlines failed to provide a staff member to help her make her connecting flight in Chicago, so she missed her flight. According to the couple they only knew that their daughter got lost when the summer camp in Michigan called to say she had not arrived. The family was surprised to discover that not only is there a third party service that accompanies unaccompanied children, but the representative had forgotten to accompany Phoebe. It took about an hour to locate the child after it was discovered she disappeared. Apparently, when the plane landed, she asked the flight attendants for help, but was told they were busy and she had to wait. She also asked three times for access to a phone to call her parents, but was also allegedly told to wait. Phoebe was placed on a flight to Traverse City four hours later. However, her bags did not fly with her. The parents said it took three days to get everything in order. "We estimate we spent about 18 hours collectively on phones, waiting, trying to track down Phoebe, her luggage and our peace of mind," the parents wrote in a letter. Phoebe "does not want to fly United Airlines again."